11.7" x 11.7" stitched on 14 count. 9.1" x 9.1" stitched on 18 count. Royal Wedding cross stitch pattern... The image is regal. White stars increase the royal appearance. All whole stitches make this an easy design to stitch. 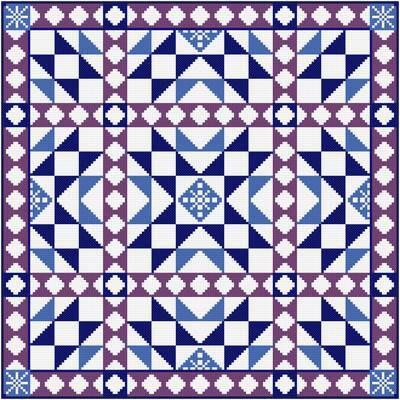 Design is reminiscent of a real quilt.